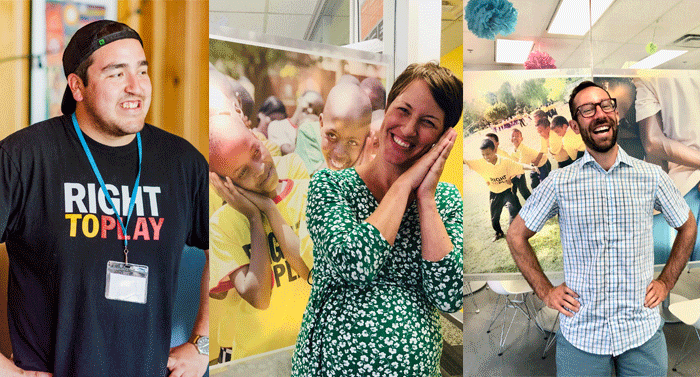 How three Right To Play employees make an impact in their day jobs. Founded by Johann Olav Koss in 2000, Right To Play educates, empowers and protects children through play. They are global leaders in using play to ignite children’s ability to rise above the impact of poverty, war and disease. Right To Play has pioneered a unique, play-based approach to learning and development that focuses on quality education, life skills, gender equality, child protection and building peaceful communities. Its programs reach 1.9 million children in 15 countries each week. With large impact, comes the need for unique roles and responsibilities. 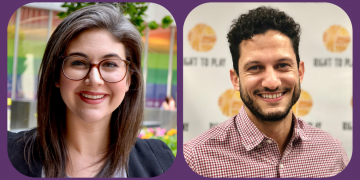 We had the opportunity to speak with three employees and learn more about their Right To Play story. Jordi Jeremiah Jacko, PLAY Program Officer, has been with Right To Play just under 3 years. Originally from Whitefish River First Nation, a small reserve close to Manitoulin Island, Jordi has had the opportunity to work with youth in his community and make an impact. Prior to becoming a Program Officer, Jordi was a Right To Play Community Mentor where he was able to provide more “land and skill building activities” with youth. 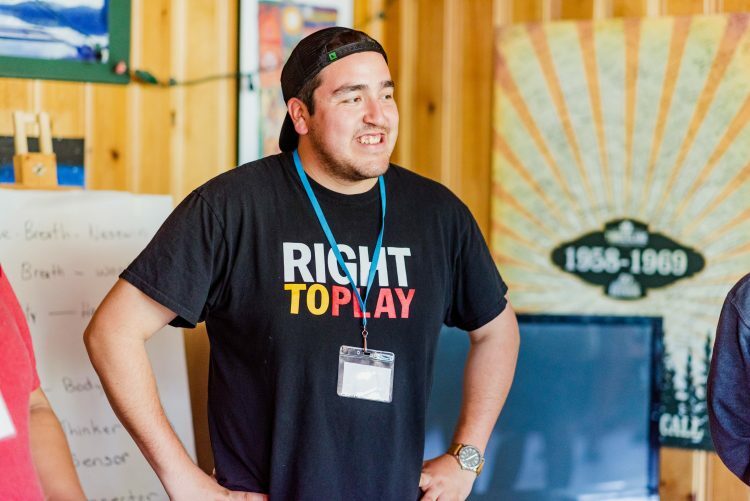 In Jordi’s current role, he helps to coach, mentor and train partnered First Nation Community Mentors in Right To Play’s Promoting Life-skills in Aboriginal Youth (PLAY) Program. A highlight of his job is holding a youth symposium with more than 100 youth from First Nation communities for a weeklong camp. In order to best serve the community, Jordi collaborates with eight communities across Ontario to implement the PLAY Program through remote coaching. 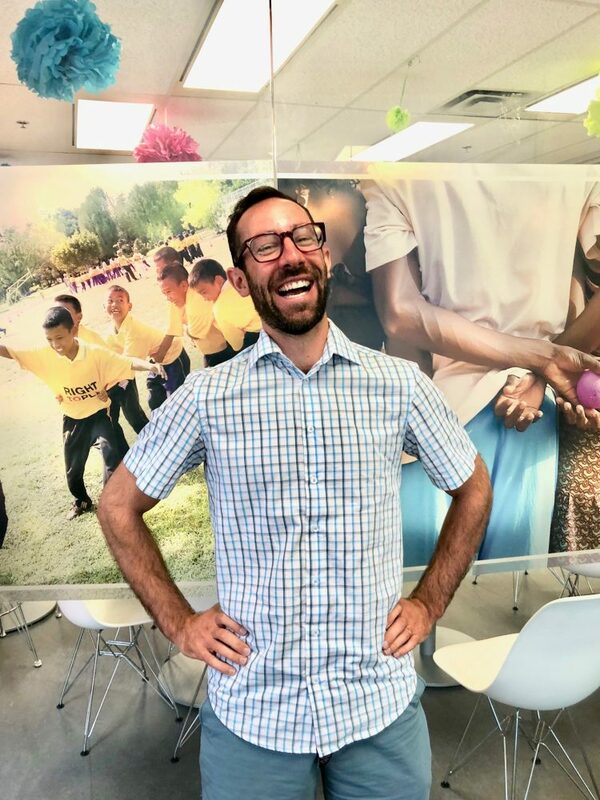 Jordi ensures that each community is “creating a safe and inclusive space for children and youth while providing a healthy snack and meal in their program”, he says. After a trip to Kenya, Jordi was able to see the impact of play with children globally and knew that what he was doing with Right To Play was powerful. “Everything we do is to help keep children and youth safe and to build their skills to help protect themselves to know when to get help for anything such as sports, mental health, to family and friends”, he explains. “Seeing how much the children and youth appreciate the program is amazing, and to hear about why they come out each week is what I really enjoy about the role”. 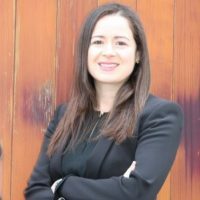 Tara Gilroy, Manager of Training and Capacity Building, began her career with the Toronto school board as a classroom teacher. Shortly after starting her career, she decided to pursue her lifelong dream of living and working in Africa in a volunteer capacity training primary school teachers. Once she returned to Canada, she started her career with Right To Play. “The feeling of contribution is the most rewarding in my position. I feel that every day and that hasn’t changed in 6 years!”, Tara shares. 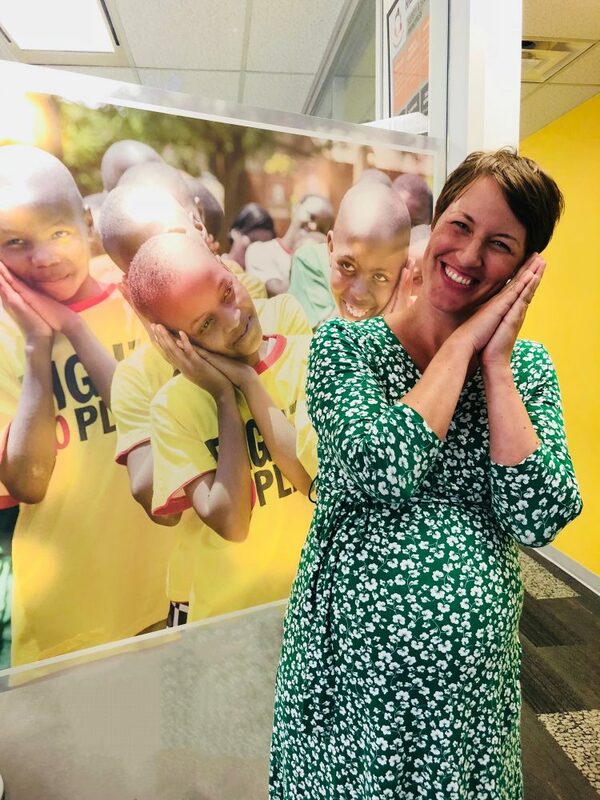 In her current role, Tara focuses on providing support to countries and regional offices in all matters related to the development and implementation of the Right To Play programs. “Training is a huge component of our programs at Right To Play”, she explains. Her work is to set standards on what program training should look like. “The end goal is that we’re reaching a person in a country to use play to teach children, to grow their skills and advance their academic learning”, she says. Scott Sandison, Director of Community Engagement, had a more non-conventional path to the charitable sector. Growing up in Toronto, Ontario he set off to England after graduating University, where he decided to pursue sports with the Canadian National Field Hockey team, playing in both the Olympics and World Cup. After missing out by a goal in the 2004 Olympics, he decided to take a year off and moved to Botswana and South Africa doing HIV/AIDS education through sport. When he returned, he knew that Right To Play was where he wanted to work. Starting with the organization as an intern, he has been with Right To Play for eight years. 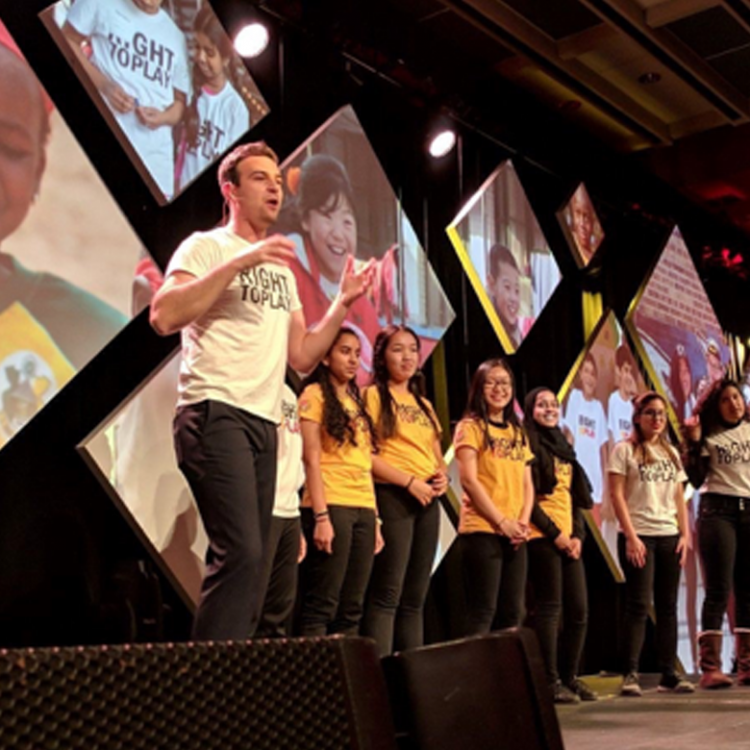 “I realized for the first time the real impact sport and play can have beyond the obvious characteristics of sports, like teamwork and confidence building – I realized that this could be a tool for education and so much more”, he explains. In his current role, Scott is focused on growing the Right To Play donor base and increasing the number of people who believe play is important for children. An important aspect is the relationship with Athlete Ambassadors. “Our beginnings of an organization, with our founder Johann Olav Koss, who was an athlete himself, and growth over time has put us in a unique position to work with individuals who want to see children’s lives improve around the world and want to work with us to do that”, he says. The Canadian team partners with over 50 Athlete Ambassadors nationally and over 200 globally. Whether being directly involved in the field, creating effective training programs planning fundraising campaigns and partnerships, each role plays a vital part in making an impact on children’s lives around the world. Through a culture of collaboration and passion, Right To Play employees are able to make a significant difference globally. Are you ready to join the Right To Play team? Explore their Impact Profile and open positions here. This story is brought to you by Right To Play.